We invite you to see and feel the joy of learning at GreenMount, the way we interpret theme-based curriculum, and our community in action. The Glimpse of GreenMount opportunities are scheduled for parents of prospective students and occur throughout the year. 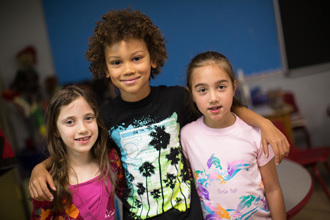 Open House events are designed for both parents and children and are scheduled only in the fall. Schedule your visit by contacting Laura Marsico, Admissions Director at admissions@greenmountschool.org or call 410-235-6295.